In the couple of months since I published isthereaboatinfenit.com the site has sparked some interesting conversations, a number of which were concerned with the ship’s cargo and destinations. 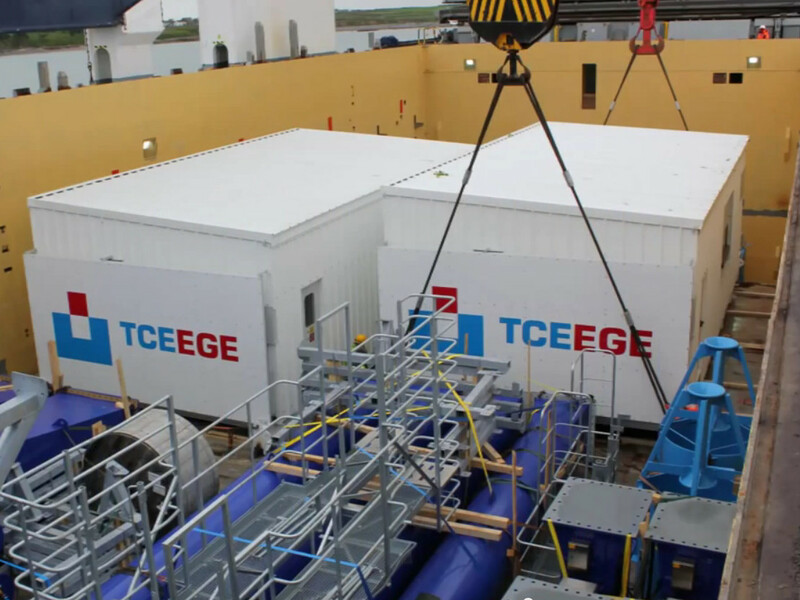 Although most people in the area are familiar with these crane parts both in transit and on the dock in Fenit a lot less was known of what they might look like when assembled. 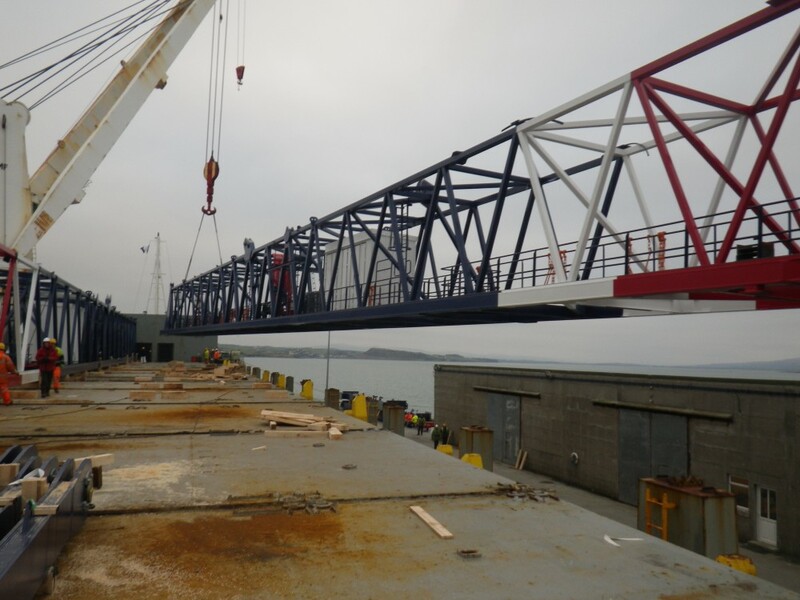 Similarly although the route these crane parts take from Killarney to Fenit is well known, defined and unchanging, where these travel to after leaving Tralee bay is unknown. 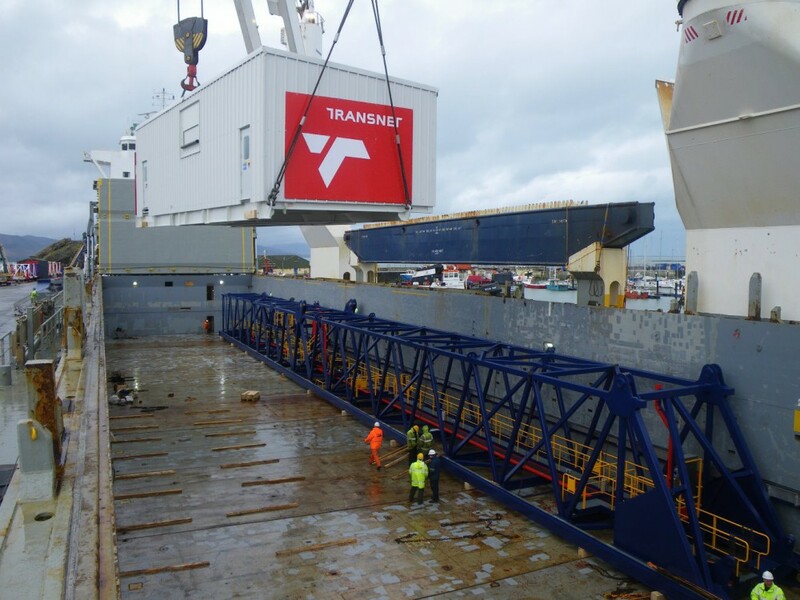 If you are at a loss as to what I am referring to here, this short video from Liebherr gives a good idea of the size and type of crane parts and their journey from from Kilarney to Fenit, but what happens after this ? My interest was piqued again recently by a BLDGBLG post by Geoff Manaugh in which he describes a visit to a container terminal in New York. 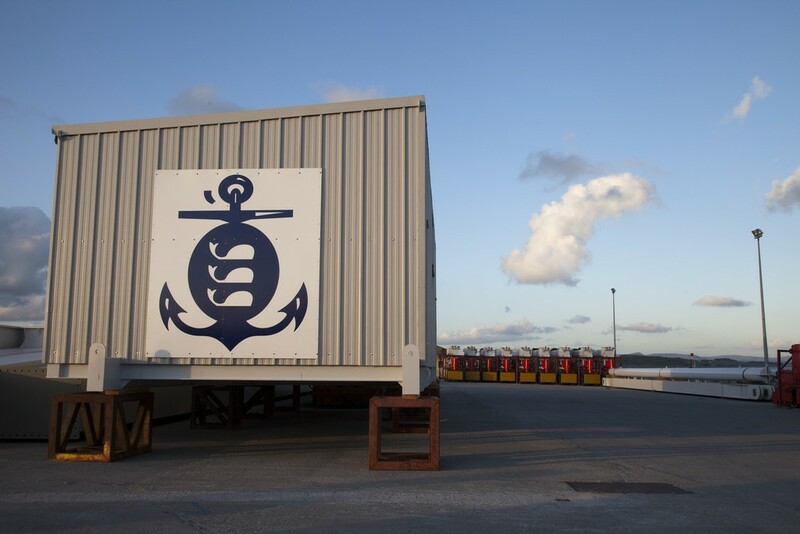 While the article itself was very interesting, it was something in one of his photos which caught my eye, a logo on the side of a while box like structure on top of one of the gantries, I had seen similar passing through Fenit in the past. These seemed like an identifiable part of this stream of mostly unidentifiable crane parts, so I set about looking through online images of crane parts in Fenit trying to locate markings that might allow me to discover where these cranes ended up and what they looked like when assembled. To start off I had to find some images of container parts in Fenit with identifiable features, it wasn’t long before I came across a set of photos on Flickr taken by Francis Foley which had exactly what I was after. 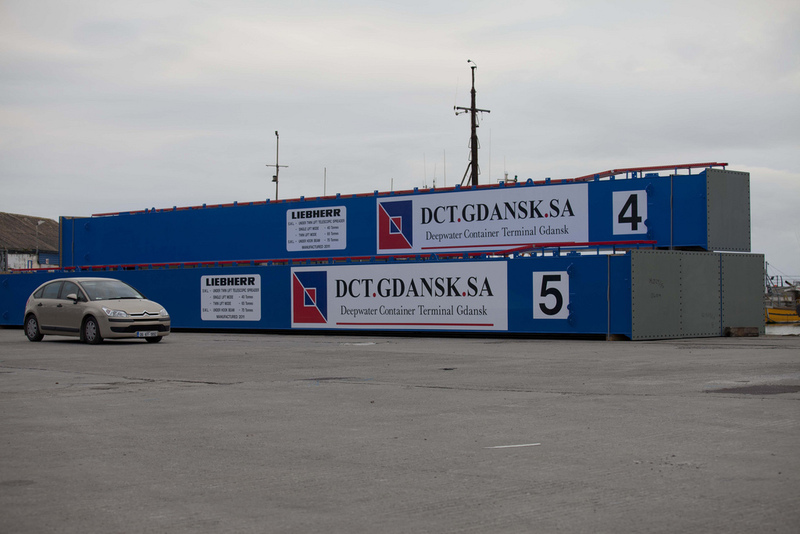 The box in this image is similar to the one’s I mentioned previously from Geoff’s photo, and although the logo was unknown to me a quick reverse image search identified it as the logo of the Ilyichevsk Sea Fishing Port, in the Odessa region of the Ukraine. 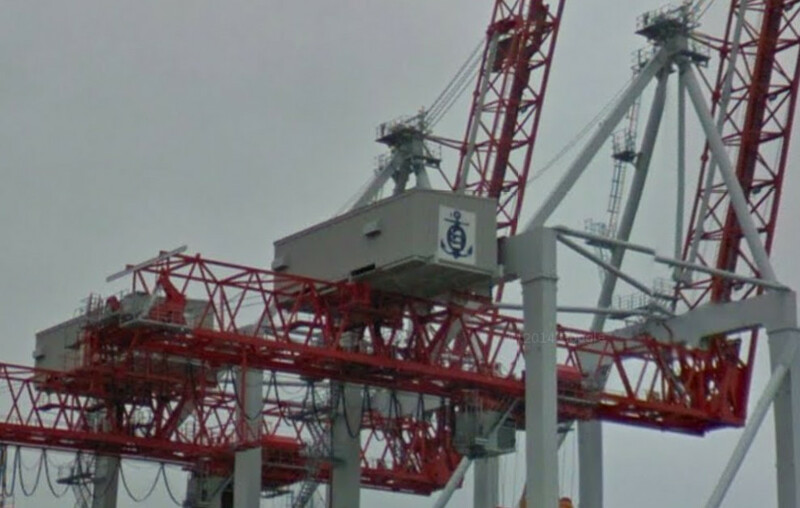 With the help of Google maps and Street View I soon had located the crane. In addition to the main crane 4 other smaller cranes are visible, presumably these are rubber tyre gantrys of with the wheels could also be seen in the photos from Fenit. 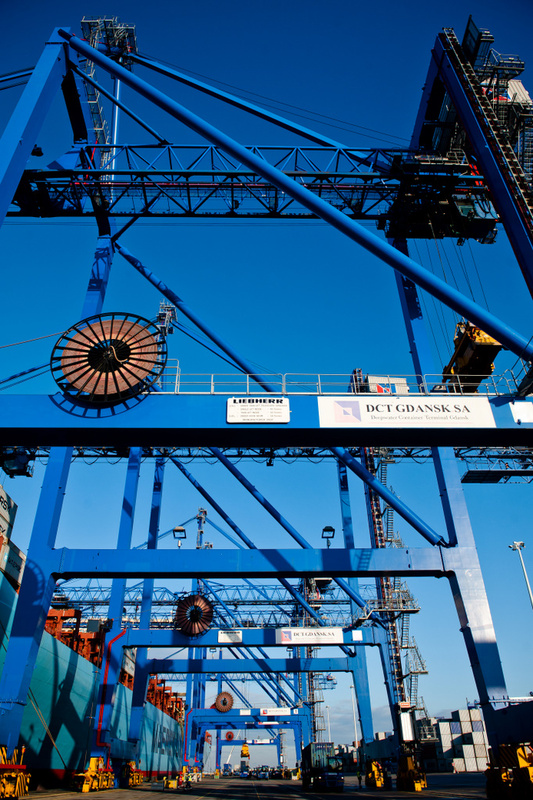 This image is from the same photo set but this time there was no surprise that this was destined for DCT Gdansk, the largest container terminal in Poland. … and from another angle. 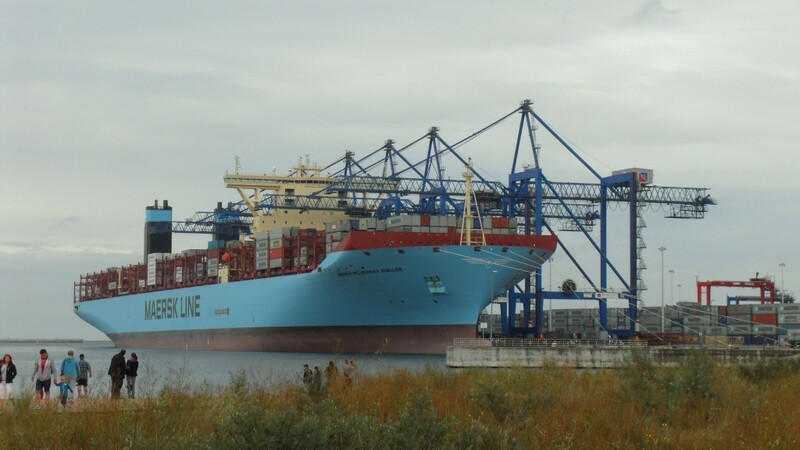 Incidentally the boat that the crane is working on in the photos above is the Mærsk Mc-Kinney Møller which at the time the photo was taken was the worlds longest ship and can hold over 18 thousand containers ! 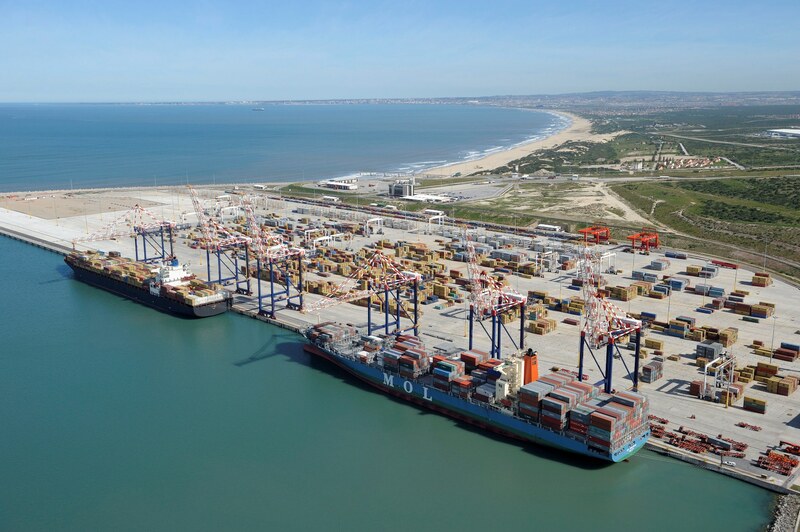 This was another image I found with identifiable markings, according Transnet this was part of a shipment of ship to shore cranes, two destined for Ngqura Container Terminal and the other two for Cape Town Container Terminal. Here are some images of parts being loaded in Fenit, they are pretty unique in their paint work, and the port logo was visible again. 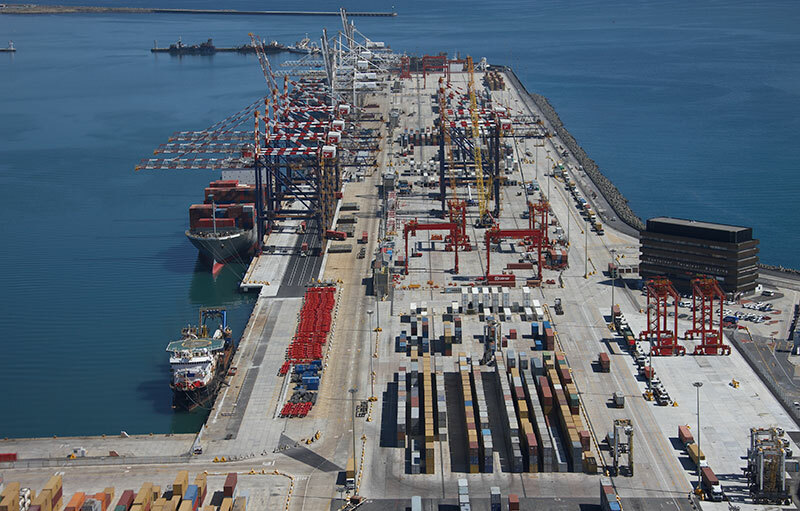 … and Ngqura Container Terminal. 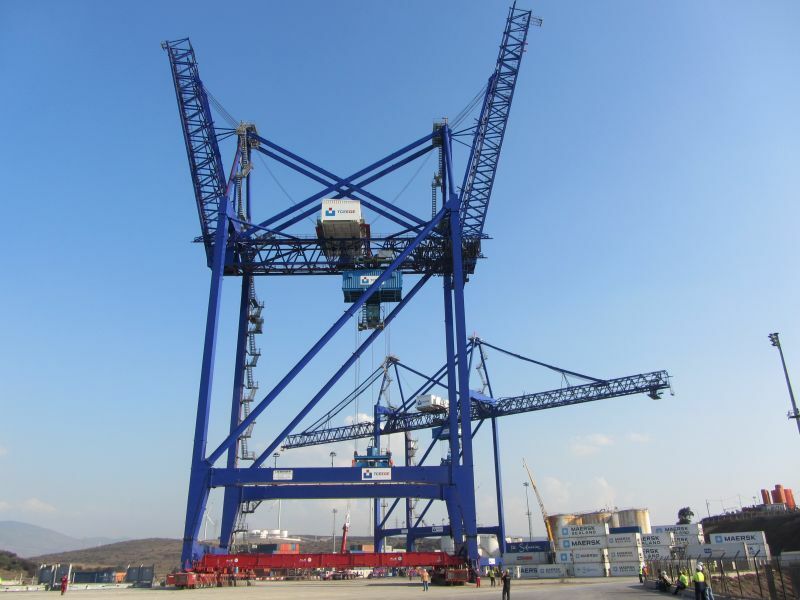 … well here they are again in the port of Aliağa in the Aegean Region of Turkey. After visiting (albeit virtually) the ports where these cranes are now located I was struck by both their scale and complexity, this in stark contrast with the port they started their journey from, in comparison Fenit is sleepy and quaint. 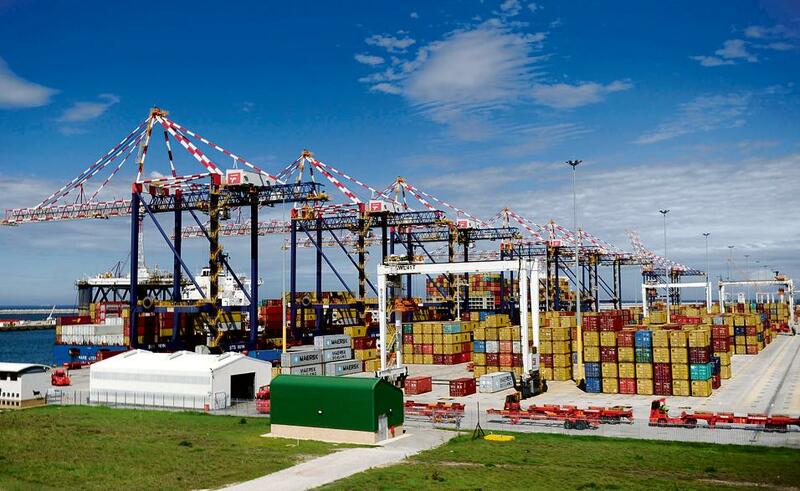 As pointed out by Geoff in his post, container ports like these are highly automated landscapes, something Martin Dodge and Rob Kitchen refer to as Code/Space, spaces and infrastructure systems which are intrinsically dependant on software in order to function. With this in mind I tried to think of any automation in Fenit port, I drew a blank, totally dumb. 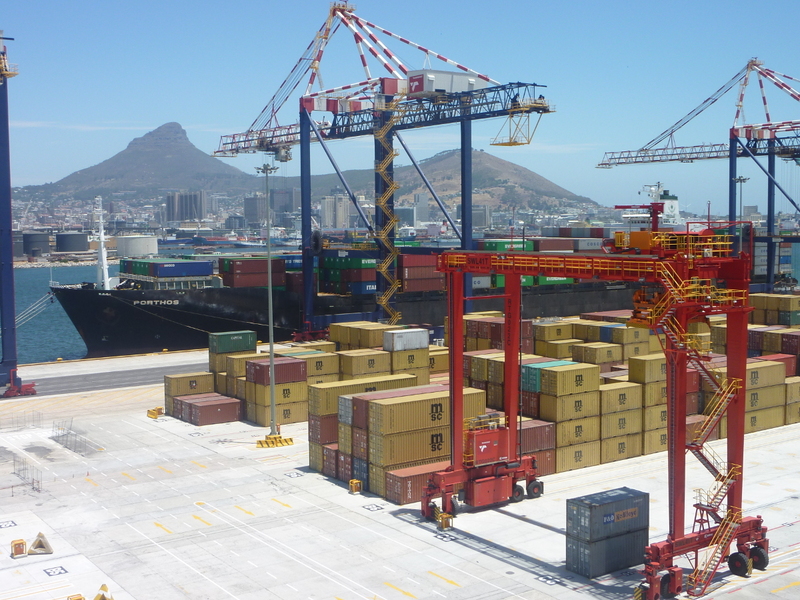 Although Geoff observes that these algorithmic control systems are the processional spaces of tomorrow, there is no denying that Liebherr’s cranes 50km journey from the lake to the sea is nothing if not processional. This post is based on an evening of internet surfing research so I could be wrong on some or all of these observations.